I’ve always found it difficult to construct a world around my characters and be very detailed. What are your tips for authors who want to weave character and plot into their setting? 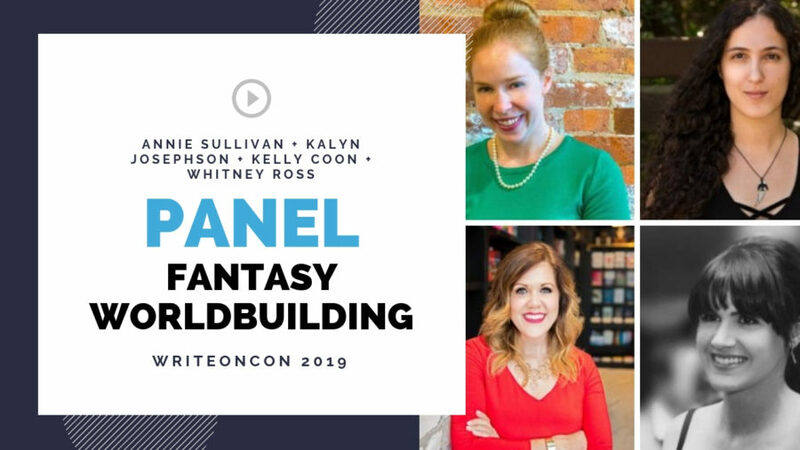 Do you know your world building before you start writing or learn about the world as you write? What are some pros and cons of both methods? What are your methods for balancing a detailed fantasy world and the story you’re writing? Do you ever run into issues with your world overpowering your characters and story or vice versa? Settings are one of my favorite things in novels. When it comes to worldbuilding, what are some things that some stories often leave out that you wished they included? How do you come up with names for different parts of your world? Names, places, creatures, etc? What is the best way to build up your world without info dumping, or coming off cliche and overly cheesy. How long do you spend worldbuilding? I have been working for over three years on a fantasy trilogy and still haven’t finished the first book because my world is so complex. How much is too much? What are your tips for writing a fantasy based on a time period that has very little information regarding it culture/way of life, IE Ancient Mesopotamia, Renaissance Ireland, etc? How much of your world should one focus on in the query for an Urban Fantasy (i.e. the world is just our world with fantasy added)? Is it better to focus more on character in the query for this type of story? When you’re writing your query, how do you gauge how much of the worldbuilding to include? I know the main character should be the focus of the query and typically the character details should start the query, but I’m having a really hard time not setting up a bit of my world first because it directly effects the character’s conflict. Especially because of the novel is a high/epic fantasy. Thanks so much!! Thanks for the question! You could start off the query with just the main conflict with your world (In Brittanyland, the Xs have been in power two years too long….) to set it up, but the heart of your story is really the character’s need, want, the lies they tell themselves, the truth they need to hear and the stakes they face if they don’t get the truth. That emotional connection they’ll have with the reader trumps the world, so it’s important to really focus on that. How much do you allow genre to influence your worldbuilding? Recommendations for world-building that is outside of your own cultural context? How does worldbuilding differ between high fantasy and urban fantasy? What are the most important elements to consider for each? Any tips for portal fantasies? Is there such a thing as a world that’s too developed or well thought through? Sometimes I feel like i’m coming across a little strong. How many rules do you allow to govern worldbuilding? Is there such a thing as too little or too many limitations? How much detail and explanation is needed in building a world in an unusual setting, such as an isolated city or a community underground? I find it difficult to find the balance between showing how this world sustains itself and maintaining the flow of the story. I’m balancing that myself right now with my Sci-fi fantasy WIP. For me, it’s about threading it in as needed in small bursts from the mc’s perspective. Dialogue can deliver world-building in an authentic way if it’s done well and you leave things to the reader’s imagination. Actions can, too. If my character is snapping on skis and heading down a snowy hill to get to main street in her bustling village, I’m weaving in the world without having to come right out and describe it. You can also demonstrate setting while showing character and pushing forward the plot. If the neighbor kid rockets a snowball at her, and when it smacks her in the face, he just turns and walks away, you show the setting, provide a glimpse of her neighbor’s character, and introduce some interpersonal conflict which could propel the plot. Magic systems – where do you start? Especially when magic isn’t prevalent with all people within that world. I start with limitations. I make a giant list of what magic can and cannot do. How it can possibly be used to help, how it can be used to hurt, and what conflict it will create in the magic-user’s hands. The best kind of magic for me is slightly infuriating in that it doesn’t do exactly what the MC wants it to do, or it causes harm to the MC or someone the MC loves when it’s used. With Fantasy do you think it is more important to outline and plot, or can you pants and write a beautiful fantasy? Annie said she’s a total pantser and writes lovely fantasy stories, so it can certainly be done! She establishes her magic first and builds from there.